Hi guys! I can't believe it's already the last day of March! Here are some things that we have been up to this week! 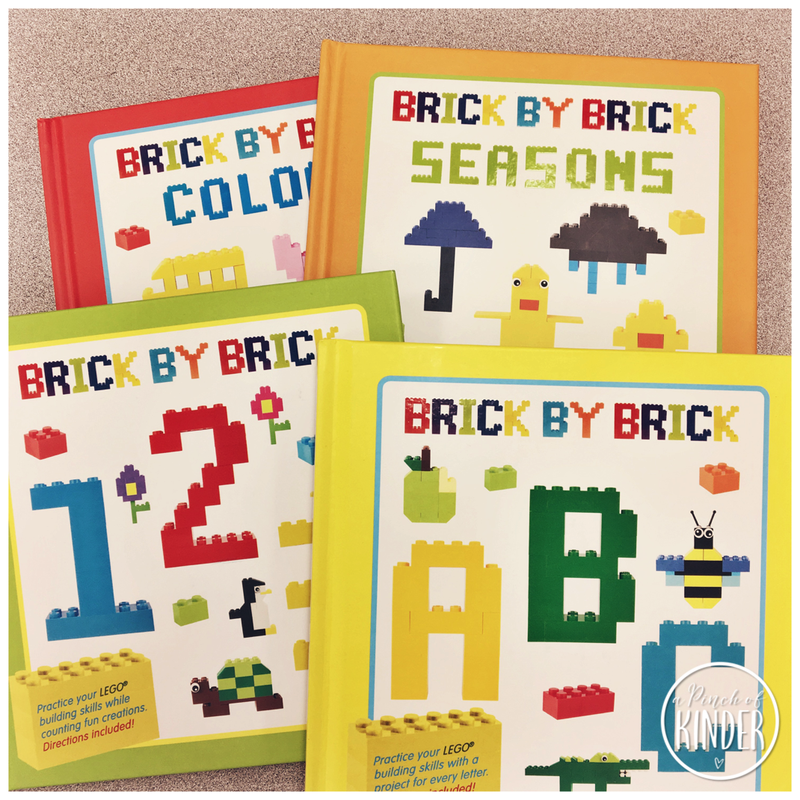 When I saw Antoinette from @shoelacesandsugarcookies post about these lego books on Instagram, I knew they were just what I needed to bring purpose and intention back to our lego centre! Unfortunately, they are only available from Barnes & Nobles and the shipping was a little on the pricey side but the books themselves are a steal for the quality! I also signed up for the e-mail newsletter to get 15% off one of the books. I love how most things only need simple bricks that I already had! I also like that it tells you how many of each brick you need. 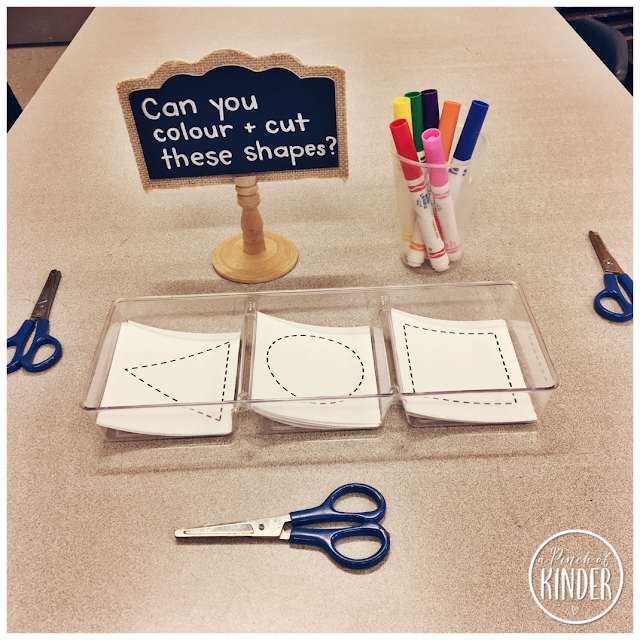 This encourages the students to practice counting in an authentic way! They have been loving these books and I can see them being obsessed with creating the items in the books until the end of the year! Our focus sight word is "my" this week so I brought back our sight word booklets to place in our writing centre. 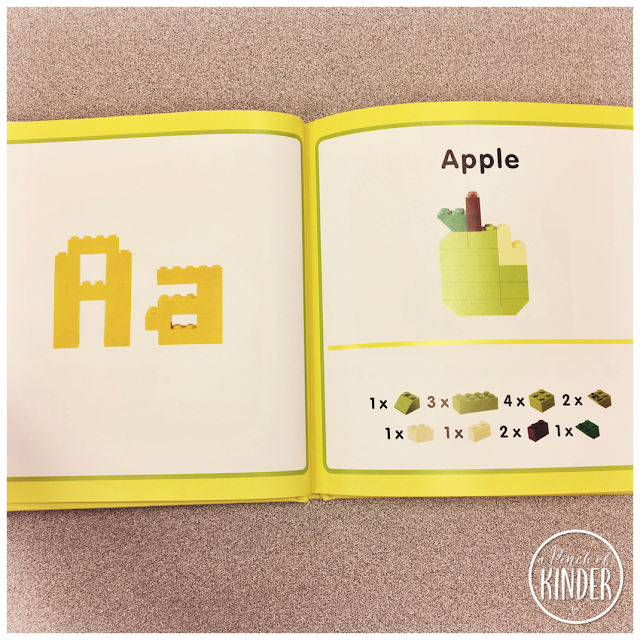 For this booklet, I added some vocabulary cards that they could colour, cut out and glue on to the pages. 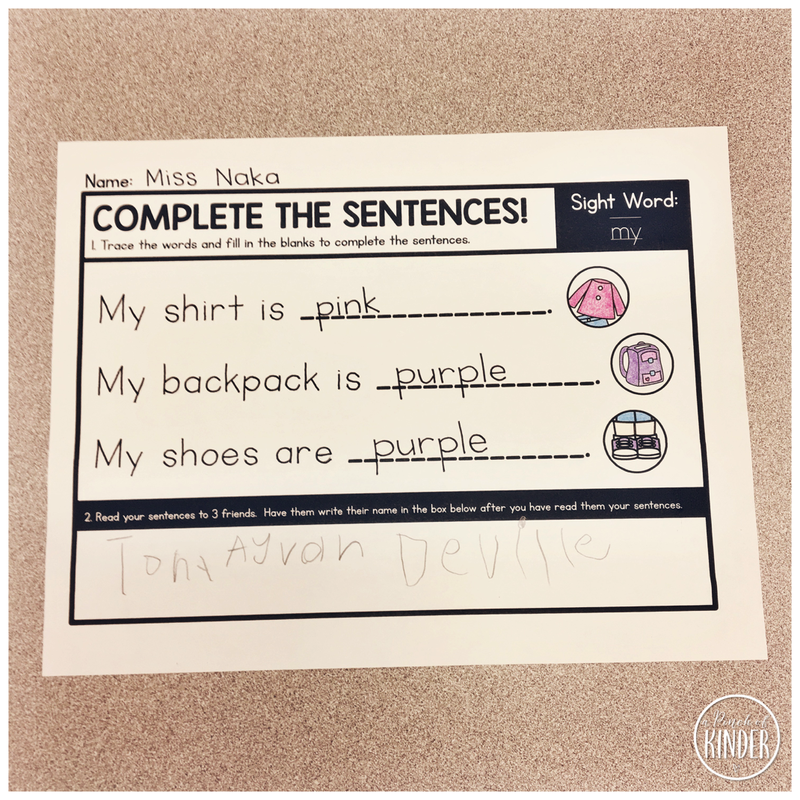 Then they could use the word on the card to help them complete the sentence. This helped increase the independence at this centre! They had the choice to draw their own pictures and write their own words, but they loved cutting and gluing on the pictures I provided them with! These booklets are in my "Pre-Primer Sight Word Booklets" pack on TpT. You can check them out by clicking here. My kiddos need lots of practice with patterning this year so there is our latest patterning invitation. 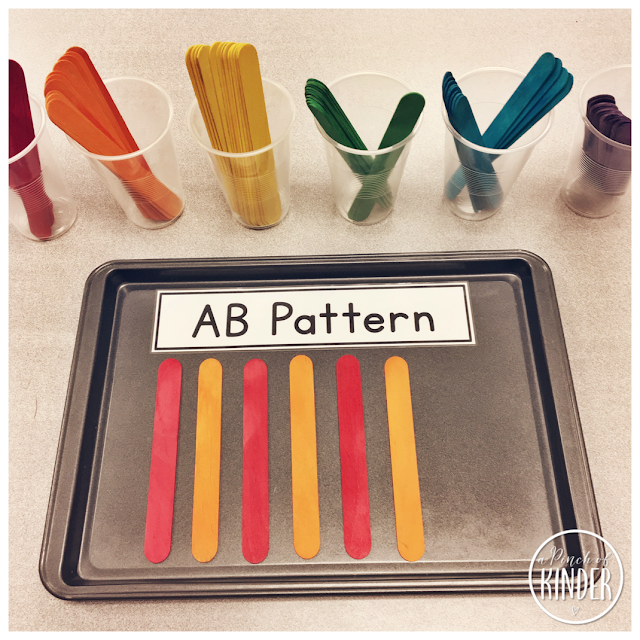 I invited them to create a pattern with coloured jumbo popsicle sticks! I added these pattern name cards to encourage the students to create and name patterns and identify the core. 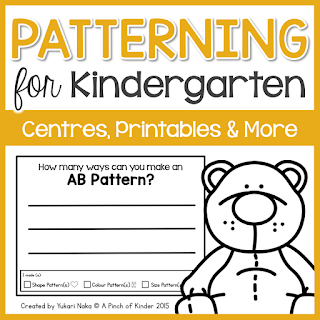 I have added them to my patterning unit on TpT. If you own it you can redownload it here to get the pattern name cards! I finally sent home the name bags we made at the beginning of the year and have been practicing with throughout the year. 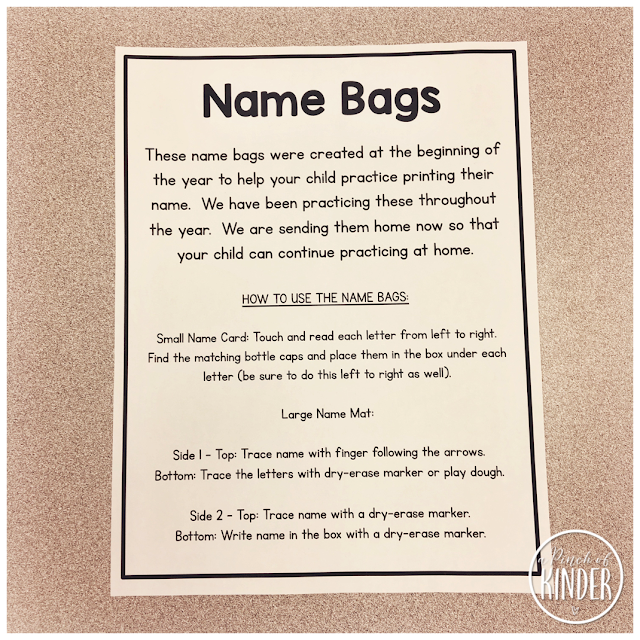 If you missed it, you can read more about my name bags and grab the free printables from this blog post. 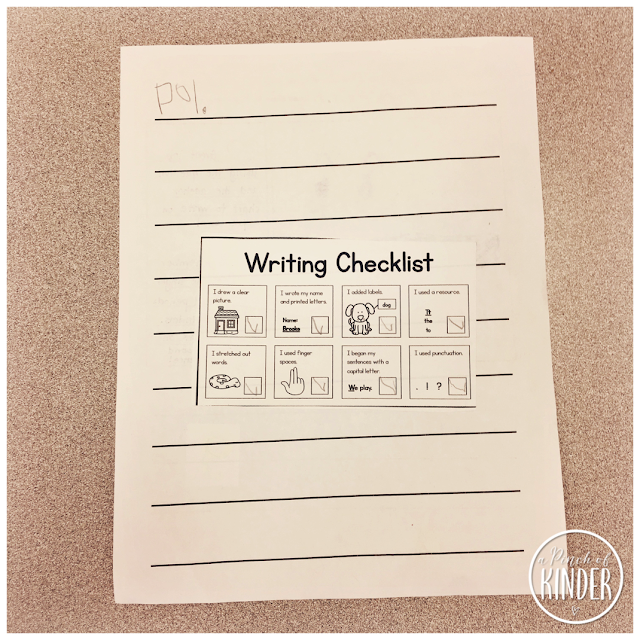 I sent this letter home so that the parents knew they could keep the name bag at home and how to use each component with their child. This letter has been added to the Name Bag FREEBIE on TpT. 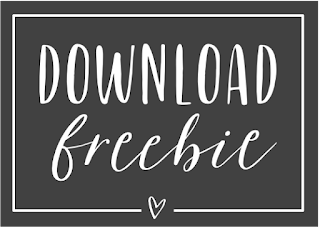 You can click here or on the image below to download it! 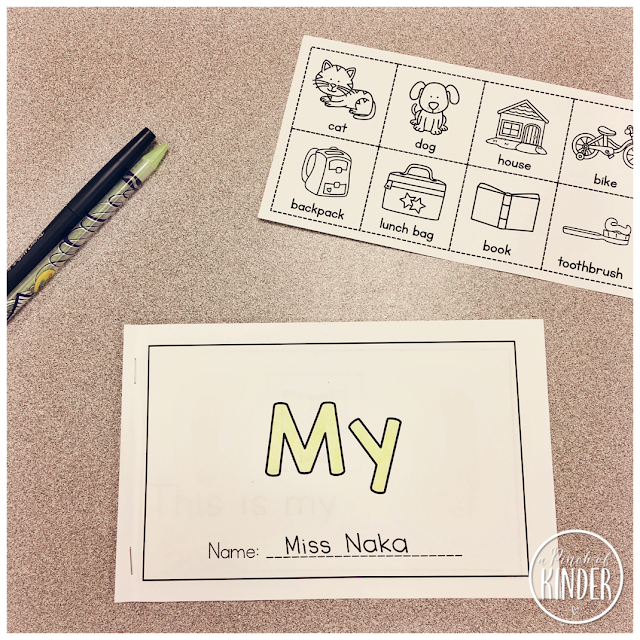 I'm always trying to think of easy and fun ways for the kids to practice writing their sight words. 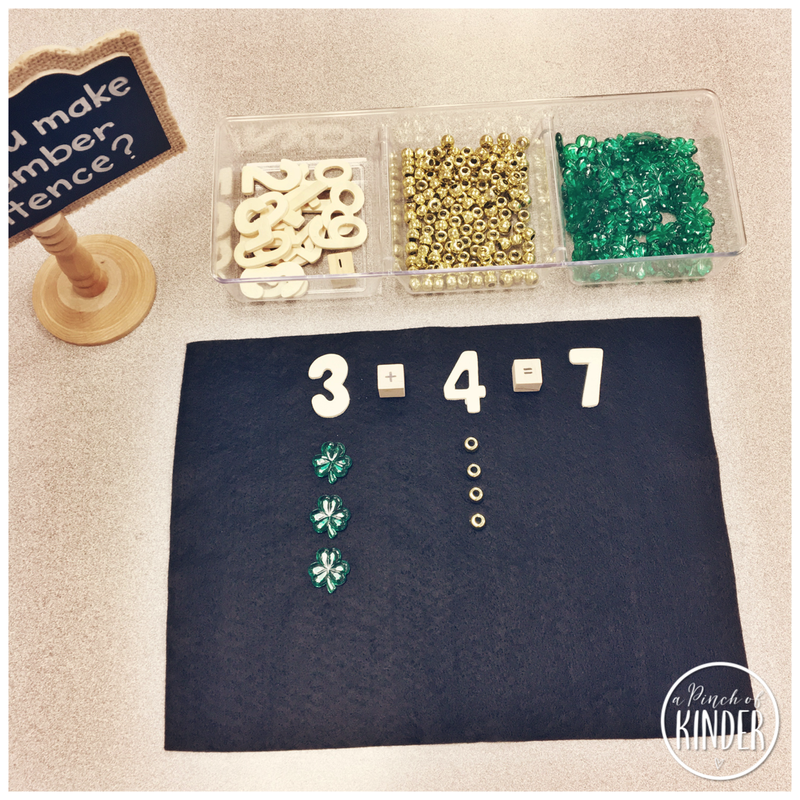 Here is a new activity that I came up with! Students trace and complete the sentences. They can get the colour words off the word wall to help them print the word. Then they colour the picture to match to help them remember what colour they wrote. After they are done, they read it to 3 friends and have the friends write their name in the box at the bottom. That's it for me this week! I hope you were able to grab some ideas to use in your classroom! Have a great weekend! 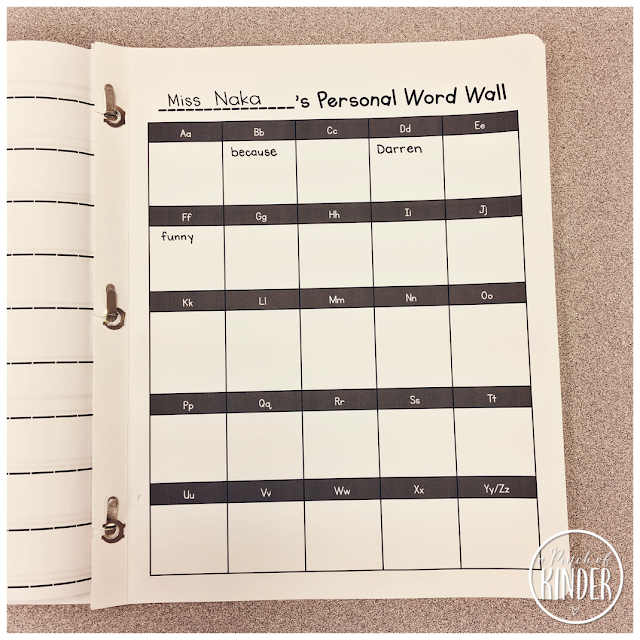 I'm excited to share something that has been working well in my classroom. I've always struggled with finding something meaningful but low-prep for my high achievers to do while I teach whole group lessons on concepts that they have already mastered. I want it to be meaningful and challenging, but still independent so that they could complete the work with minimal support. 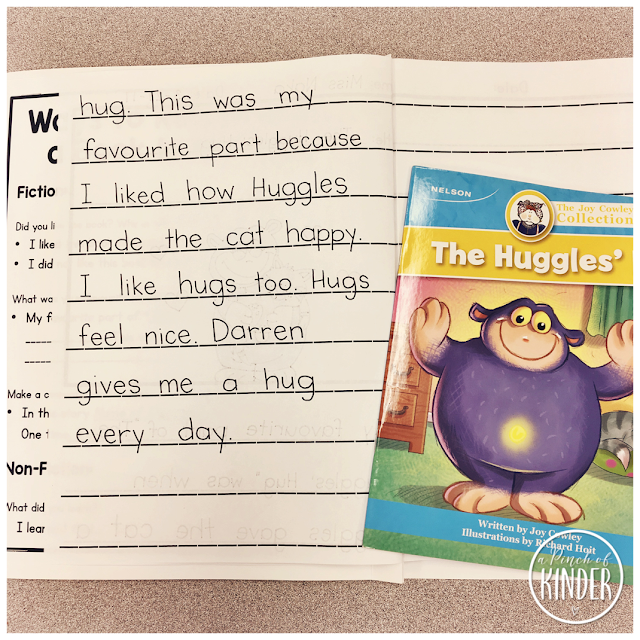 So in the morning, when we meet as a class and do a whole group lesson on letter names, sounds, simple sight words and read our poem of the week, my PM Benchmark 8+ readers are asked to write. Last year, I was having this group write about anything they wanted but found that the time was not being used very effectively. 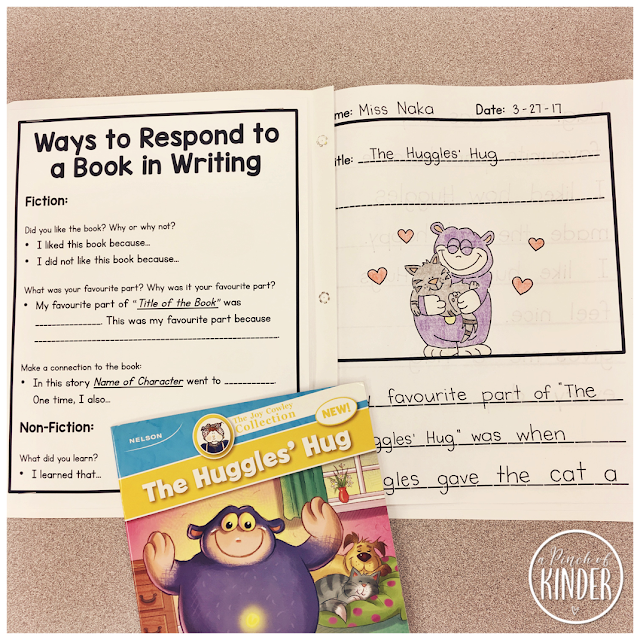 Earlier this year, my teaching partner told me about how she was getting her students to write a response to a book from their book box (independent reading box). She said that it had been working really well in her class, so I thought I would give that a try! 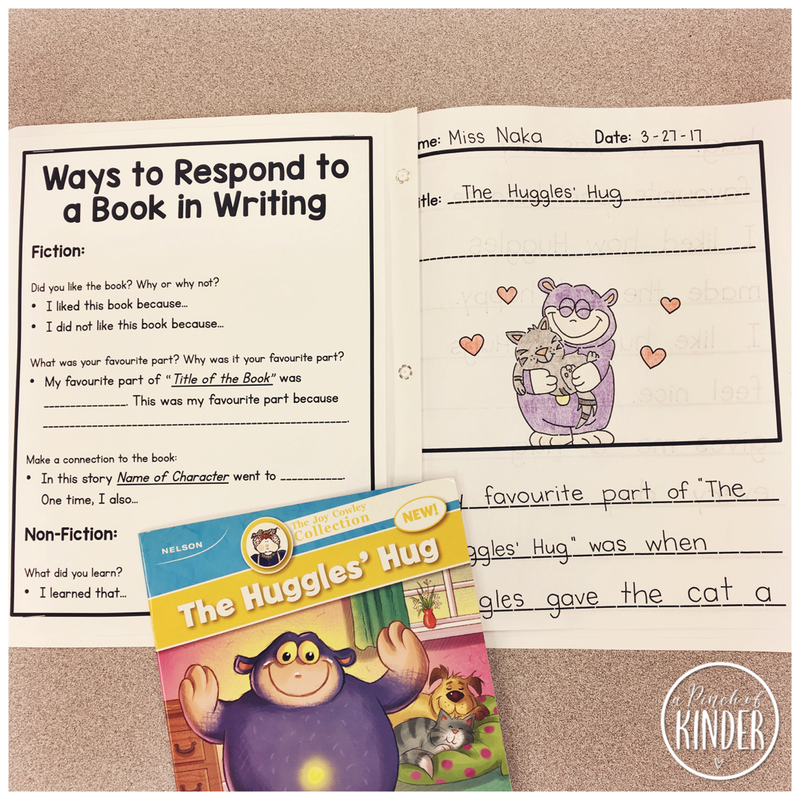 So this year, their job is to get their book box (independent reading box, which have books at their reading level), pick a book they have read and write a response to the book in their Independent Writing Book. And I stapled a sheet with some questions they could answer for both fiction and non-fiction texts and some sentence starters to scaffold their writing for the kids who need it on the front cover. Most kids start by practicing responding about their favourite part of the book. I always ask them to start with their name, date and title of the book. Then they write their sentences. I'm encouraging this group to write 2+ sentences so I'm giving them 1 page with the space for a picture and 2 pages with just lines after it to give them lots of space to write! I also added a personal word wall to the back of their duo-tangs. Here I add words that are misspelled often so that the student can use it as a resource the next time they are writing the word. At the end of the month I take out all of the pages from that month and staple it to a writing cover for that month. I have them write their name on it and they can colour the cover if they wish! Then they get to take it home to share it with their families. 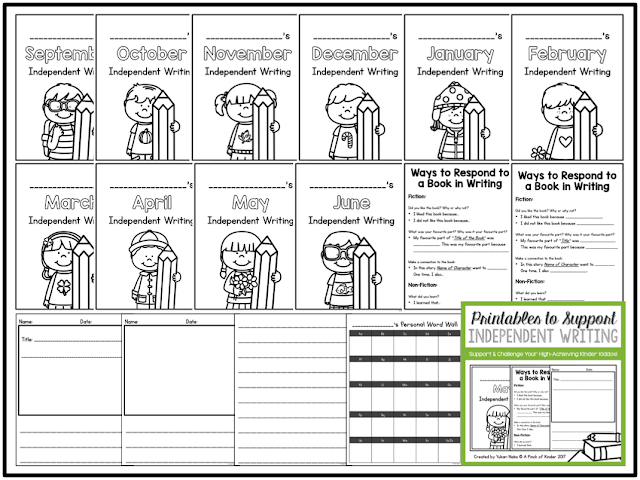 I have 5 students who are 8+ (PM Benchmark) and do independent writing daily. They work for about 15-20 minutes a day while the rest of the class is participating in whole group instruction. I was hesitant to start this at first... responding to a book seemed like a challenging task! But they have really blown me away and have exceeded my expectations in terms of independence and being on-task! I try to meet with them each week to check in on their progress and give them some descriptive feedback, do some editing together and set goals during centre time. What do you do with your high achievers? How do you extend their learning? How was your first week back from spring break? I have lots of freebies to share with you in my Five for Friday recap this week! I am totally a write it down, check it off = productivity kind of person. So when March break rolled around I knew I had to make up some goals and a daily scheduling papers to keep me on track. I shared these originally on Instagram when I first made them but wanted to share them here too, since you can use them at anytime of the year! 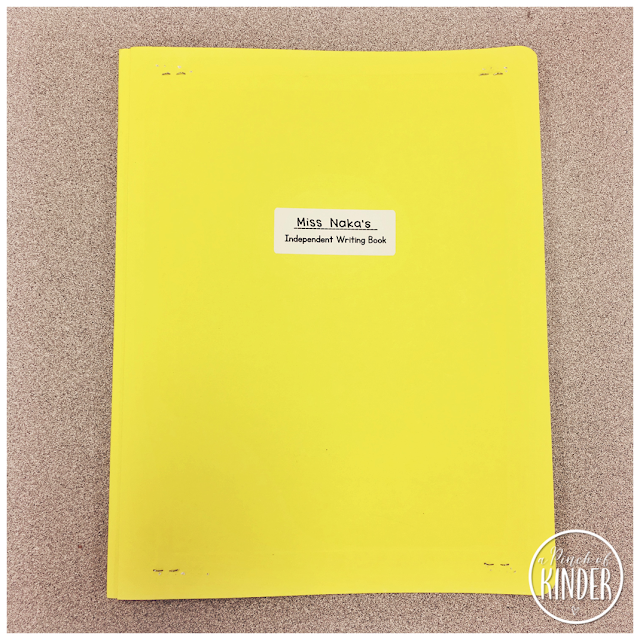 The goal setting sheet is completely editable so you can use it to fit your needs! 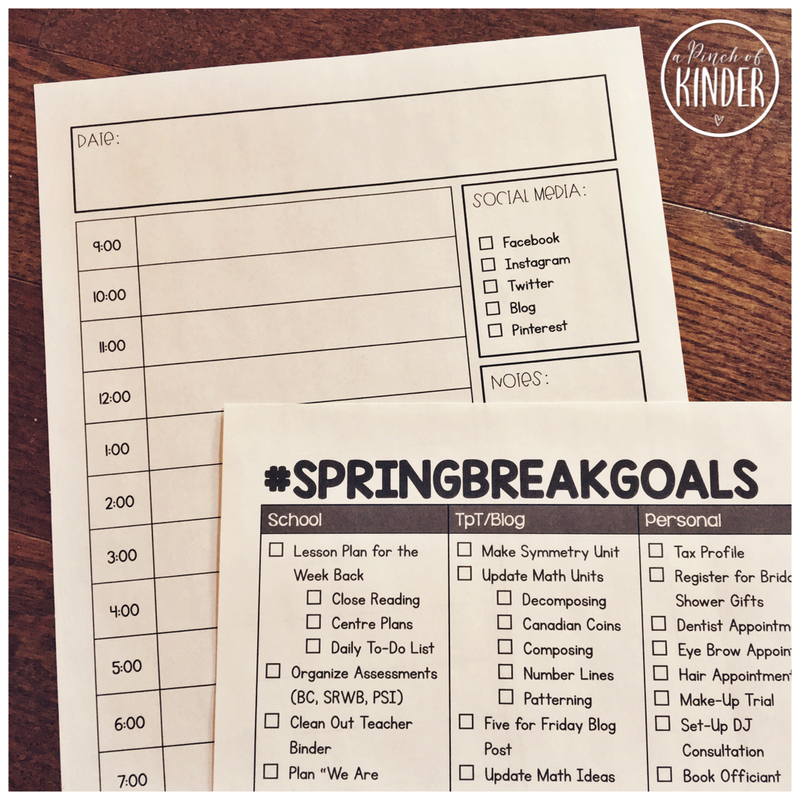 I made a new one on the last day of March break and put #MARCHGOALS at the top and re-planned for the rest of March! Again, sorry I'm sharing this so late! I made these for the first day back so the students could draw and write about what they did over March break. They loved this and so many students wanted to write about what they did over March break! I know it's too late now, but if you can use this printable for next year, you can grab them by clicking here or on the image below to download the sheets for free! My group needs lots of practice with patterning this year! I have a core group who gets it and then lots who don't quite understand the concept yet. So I try to have lots of patterning activities that I switch out every so that the centre is inviting for the students to visit. This week we put out different sized gemstones and this patterning mat out. The students were invited to make colour or size patterns. This side is a little easier and the back side has more complicated patterns. I told them the back side was a "challenge" and my high achievers flocked there! "Challenge" seems to be the magic word for my high achiever this year! 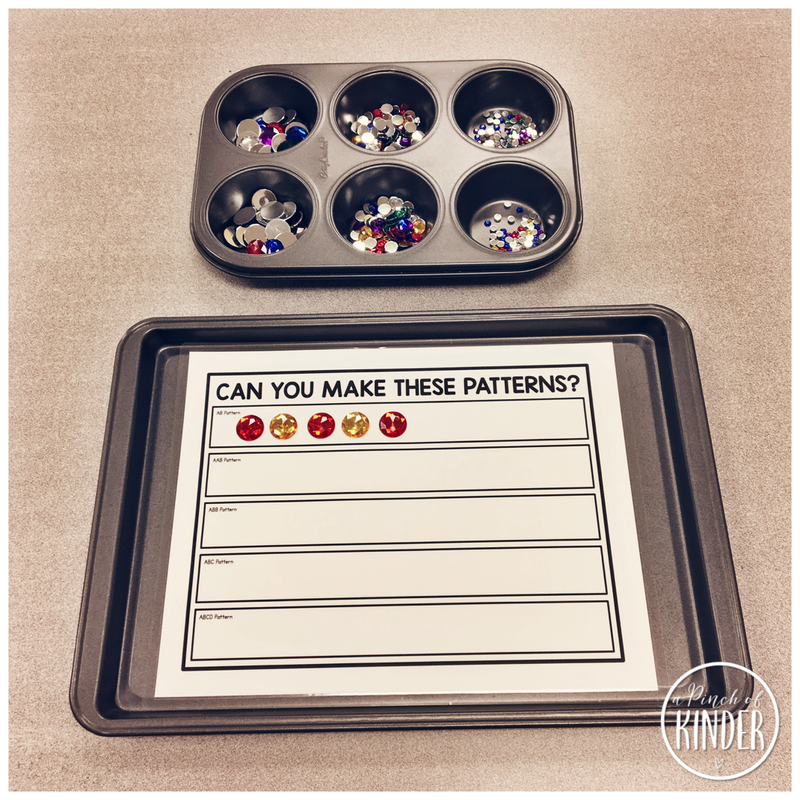 I just added these to my patterning unit on TPT. Click here or on the image below if you are interested in checking them out! This week our sight word was "yes" so after learning the sight word I set out this "Read & Answer" sheet at the writing centre for the kids to do. I purposely picked these animals because they appear in the level 1-7 books in our PM Benchmark books. 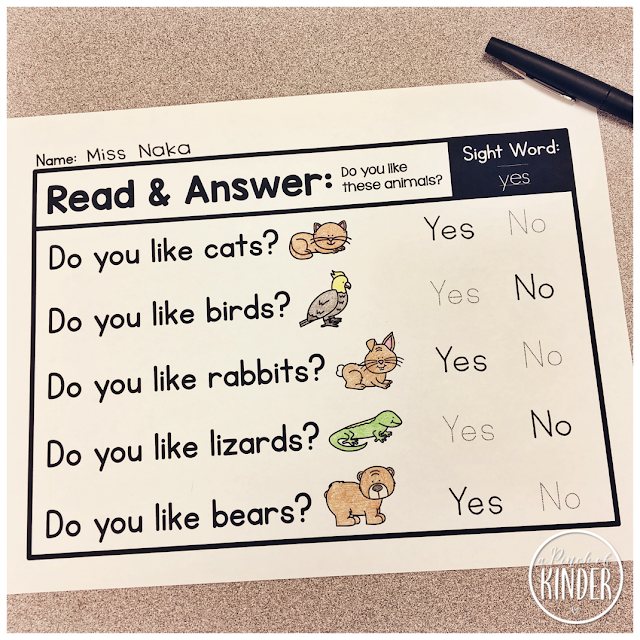 I love these because most students can complete it independently and it requires them to think because they have to answer each question based on their own personal preference. 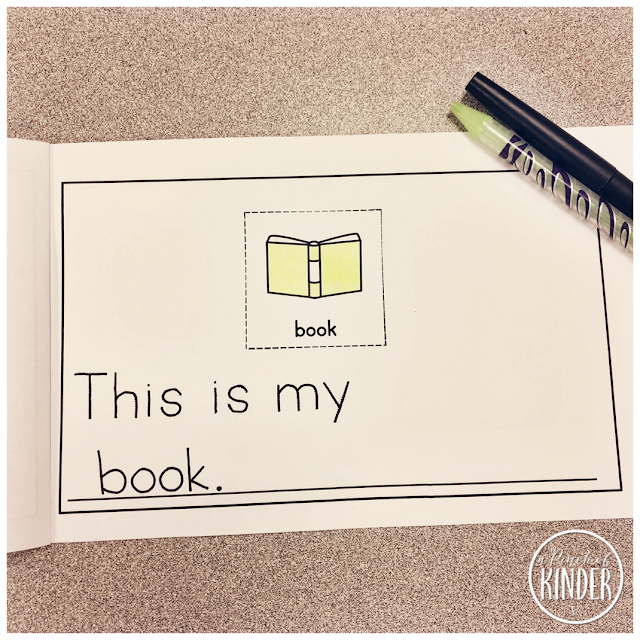 I'm hoping to make more when our focus sight words lends itself well to this type of format! 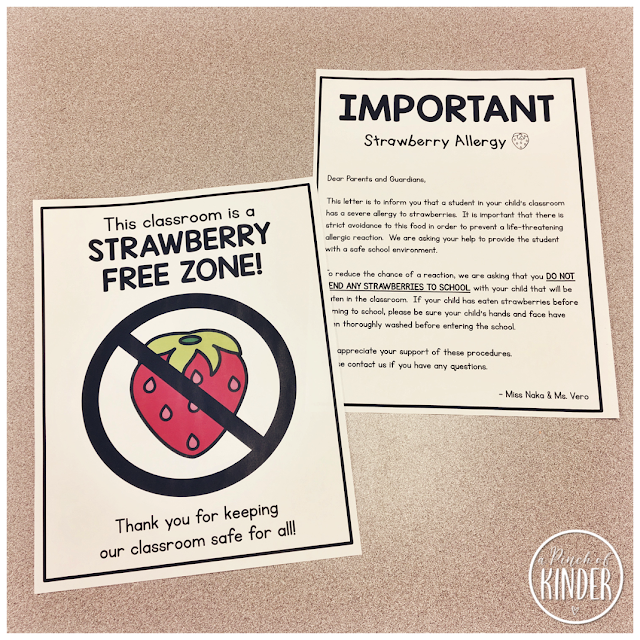 I had a new kiddo start this week with a strawberry allergy. They are not as common as nut allergies and I couldn't find any posters or letters already pre-made that I liked so I made my own. I hope you were able to get some ideas to use in your classroom! 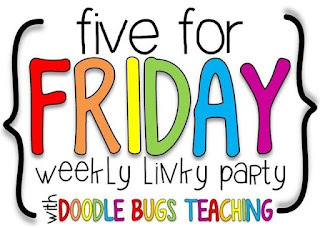 To read more Five for Fridays, click on the button below to visit Kacey's Five for Friday link-up at Doodle Bugs Teaching! Happy Friday! 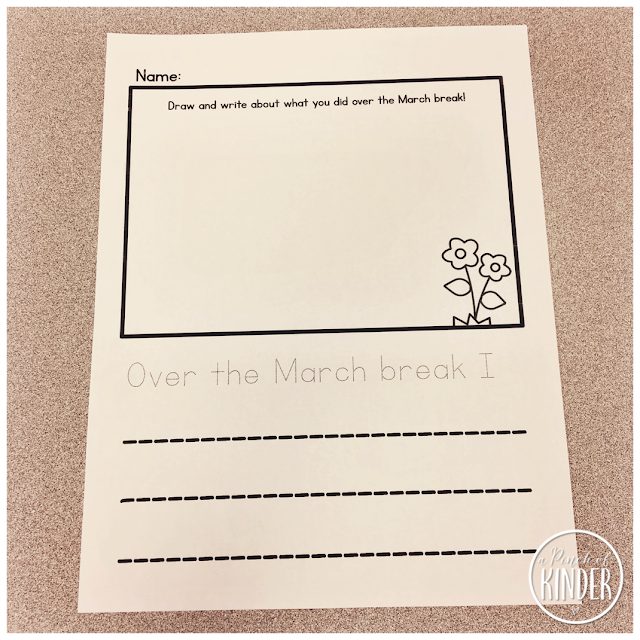 Although it was spring break for me this week, I uncharacteristically took a bunch of photos the week before break so I'm back with another Five for Friday post sharing with you 4 new subtraction ideas and a writing freebie! I already had a similar mini book (you can see it here) but last year I found it a little too open-ended for some of my kiddos so I updated the pack and added this version! 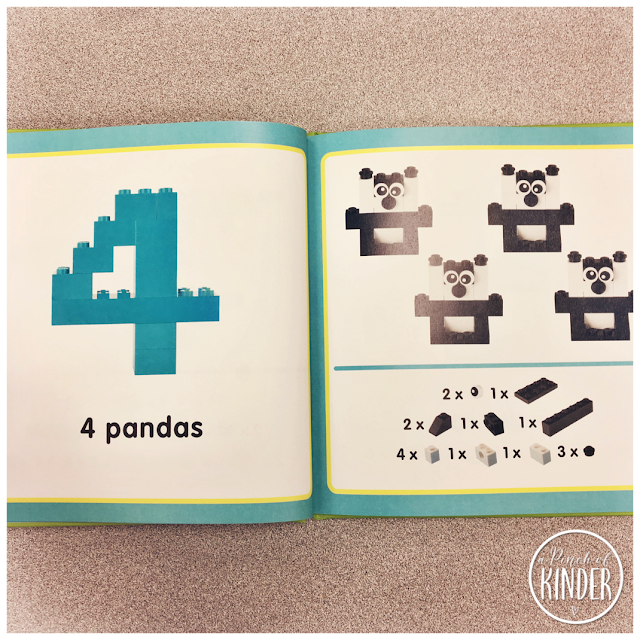 In this mini book there are animals on each page (6-10) and the students roll the dice, cross out that many animals and write the answer. 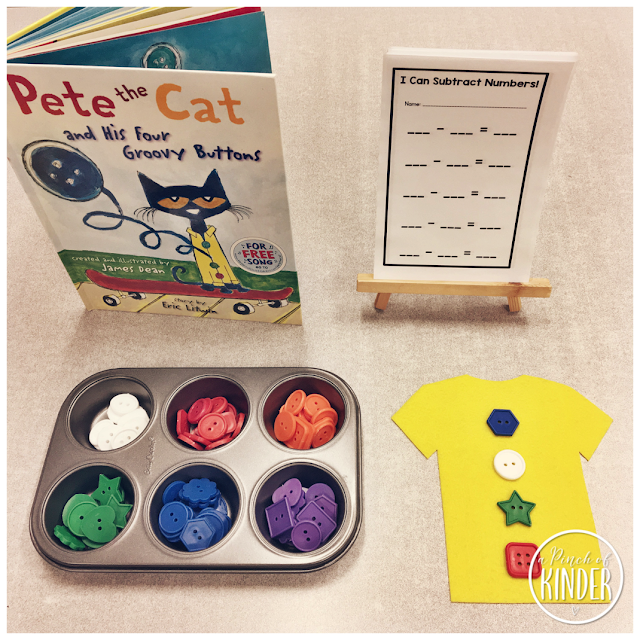 I always read "Pete the Cat and His Four Groovy Buttons" when I introduce subtraction! It's such a fun book with a great message :) The kids always love it too. This year I made these felt shirts and put out some buttons for the kids to retell the story with! They did such a great job retelling the story independently! I also put out these recording sheets so the kids could record their subtraction sentences if they wanted to. 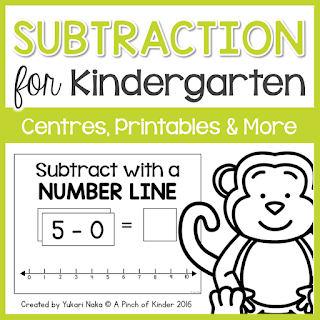 I love these because I can add them to any subtraction centre to encourage some math writing! 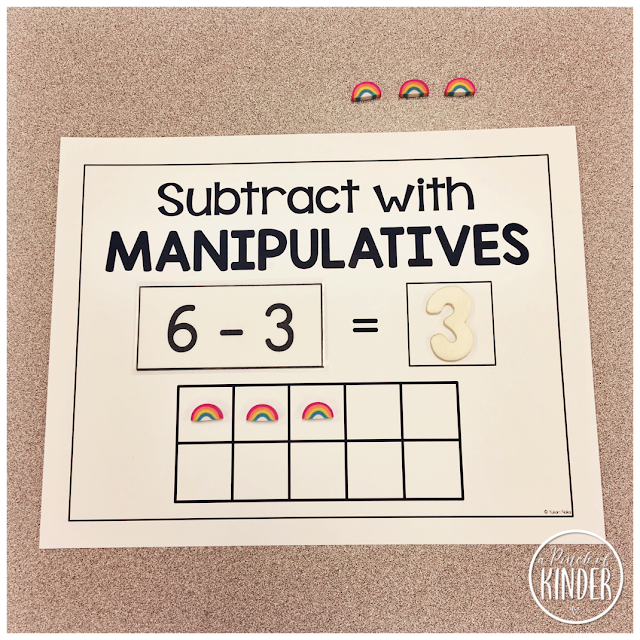 Just before spring break we started to introduce some subtraction strategies. Here are some mats I set out for the kids to practice the strategies "use manipulatives" and "use a number line"! I love these rainbow erasers (from Party City) but any small manipulative would work in these ten-frames! I print them double-sided to save on paper! 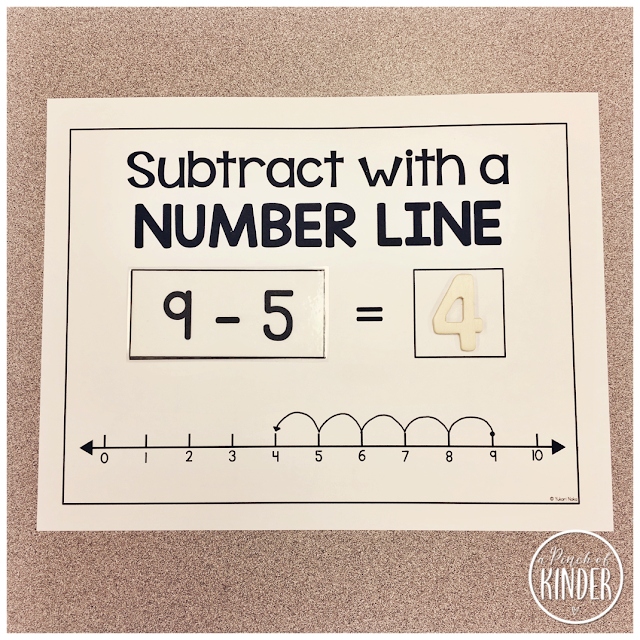 I laminate them and for the number line one I set out dry-erase markers as well so the kids can practice using the number line at the bottom over and over! My kiddos love dry-erase markers and whiteboards, so I'm always trying to add some dry-erase printables to the whiteboard centre that encourages them to practice what we are learning in the whole group setting at the time. 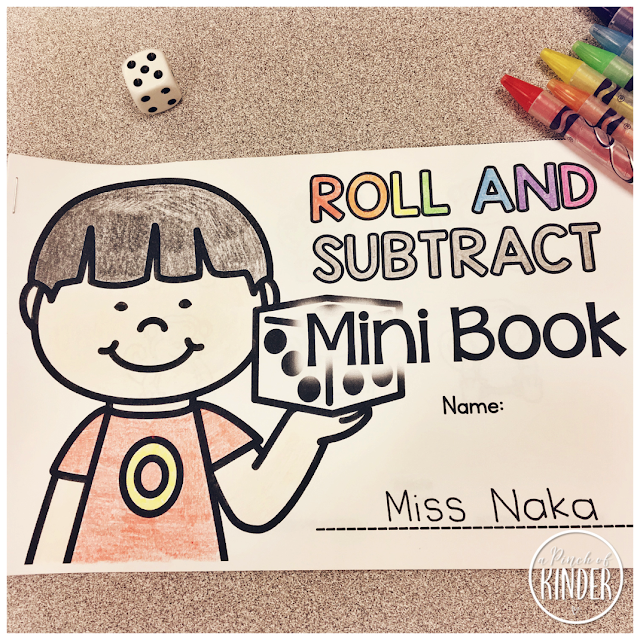 Since we are focusing on subtraction right now I made up these subtraction dry-erase cards! I always try to find images that would engage my little learners (that doesn't infringe copyright, so I can share them with you guys). Video game consoles, snacks (not pictured) and cute animals? Sold. 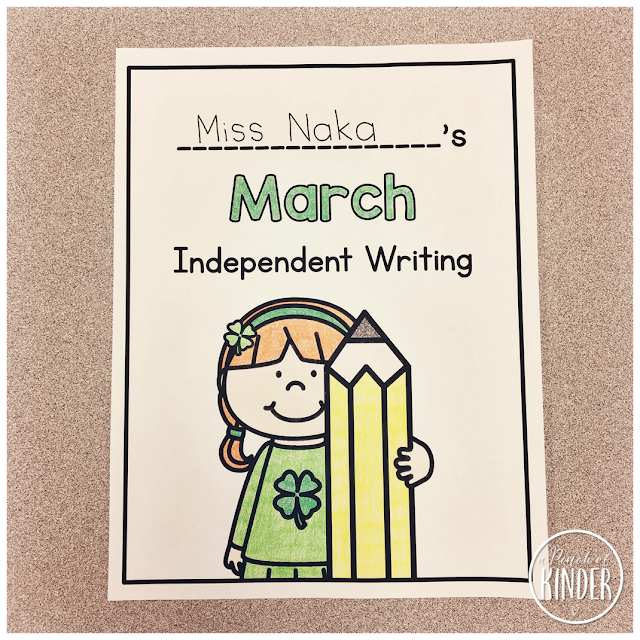 Here is our writing for March! We read the book "City Dog, Country Frog" by Mo Willems and since the story takes place through the four season, the question was "The story "City Dog, County Frog" takes place through many seasons. What is your favourite season? Why is it your favourite?" I have a group of great writers this year but I really noticed the JK's ROCKING IT this month! They are using so many strategies to support their writing which makes my teacher heart so happy! Here is one of my JK gals and her fabulous writing! She is absolutely ready for a second sentence and we will be working towards that goal next month. 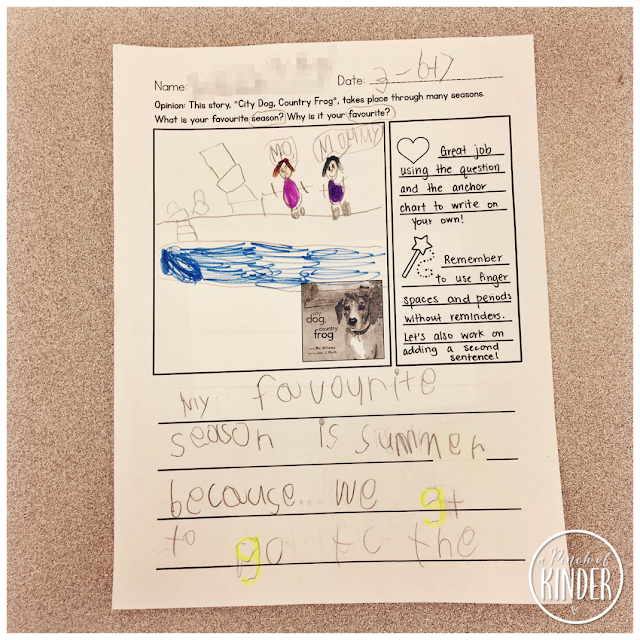 "My favourite season is summer because we get to go to the pool." For the kiddos who are ready we also get them to check and edit their work using the writing checklist! These are kept in a drawer in our writing centre. 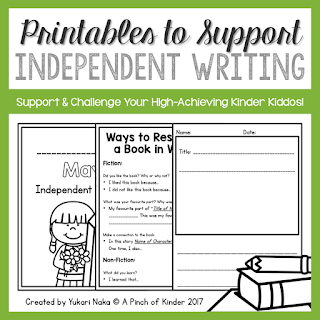 The writing checklist (and lessons to introduce all 8 components of the checklist) is in my Step by Step: Kindergarten Writing Plans pack on TpT. That's it from me for this week! I hope you were able to grab some ideas to use for your classroom! And if you are going back to the classroom after March break on Monday like me, I hope you have had a restful spring break and that you are excited to be returning on Monday. Always remember that you are making a difference in the lives of those little people, your best effort is more than enough and that you only have these little people for a little while longer! Enjoy them and have fun! Hey hey! Is it anyone else's first day of SPRING BREAK??? 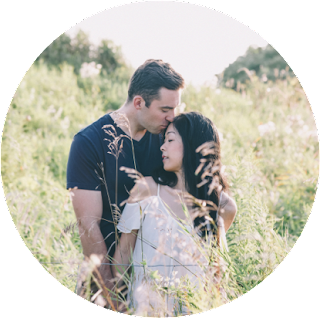 I'm so excited and ready for much needed R&R but first I wanted to recap my week. I know school may be the last thing on your mind right now but I hope you can use some of these ideas when you go back to school! I had lots of St. Patrick's Day activities I had made from last year (you can see those here) but making centres is one of my favourite things about teaching, so I couldn't resist making a few more! At this centre, students are invited to look at the pots and either read the numeral or addition sentence. 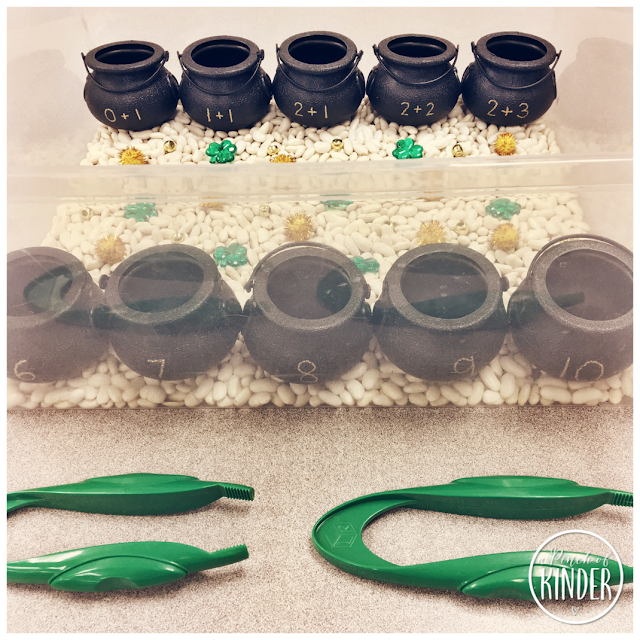 Then put that many shamrocks, pom poms or beads in the pot with the tweezers! 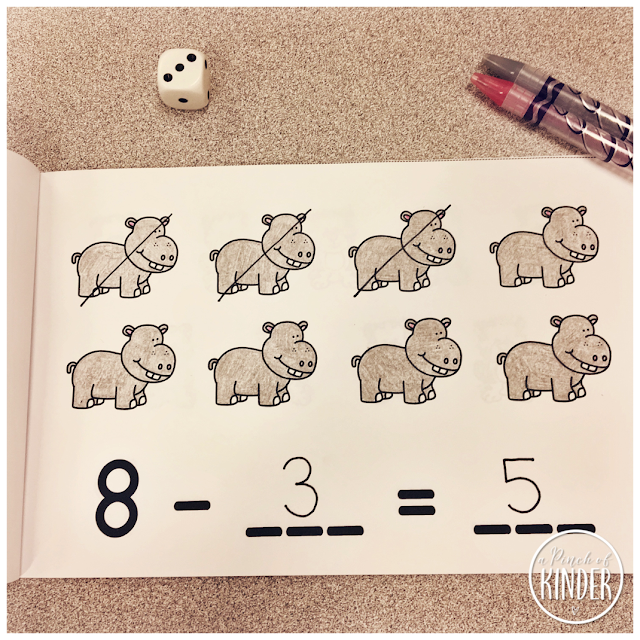 Fine motor, 1:1 correspondance and number ID/addition practice all rolled into one! I saw this on @everythingfdk's Instagram and knew I had to try it! This was a HUGE hit. So many of my kiddos need fine motor practice/scissors skills and some still need some shape ID practice as well. This centre allows them to work on all of these skills! We had this centre out every day since last Friday and the table has been full consistently all week! At first we had circle, triangle, square, heart, star and hexagon but after a few days also added rectangle, diamond, pentagon, trapezoid, moon and octagon. If you would like a copy of these cutting cards you can click on the image below to download them for free! As mentioned above we have been focusing on addition and subtraction so we have been rotating through some addition and subtraction centres! 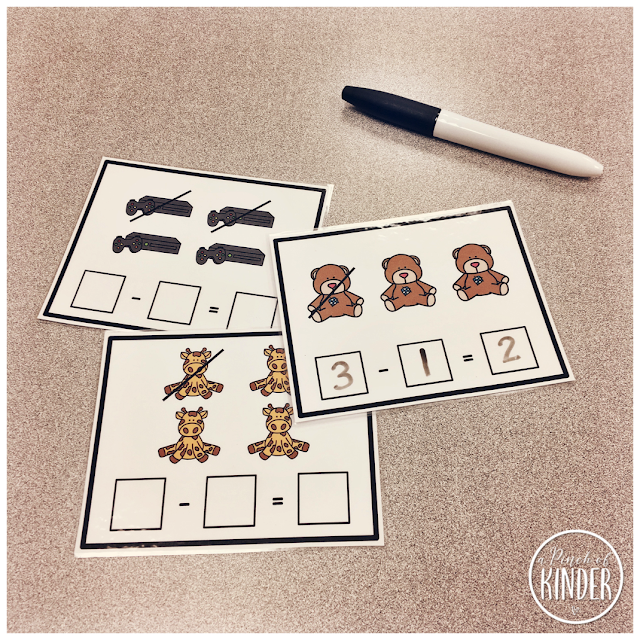 I love these cards because it helps the kids practice so many skills (fine motor, 1:1 correspondance, numeral identification) in addition to the addition (does that make sense? lol). My kiddos love anything with play dough so they loved these! 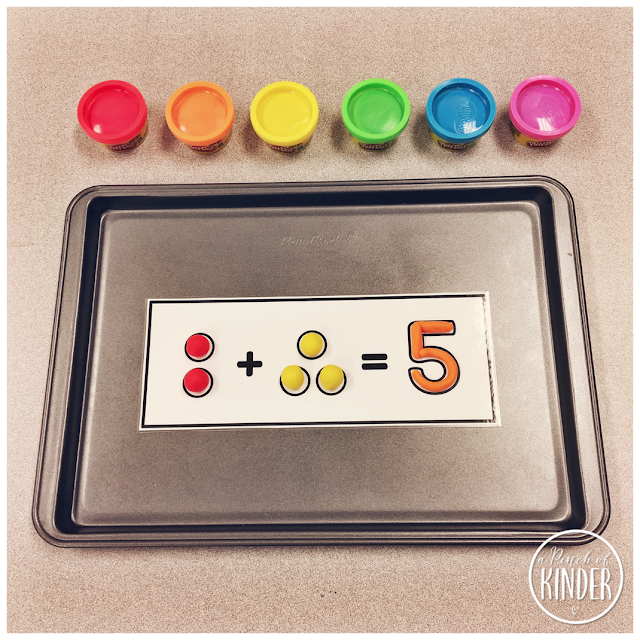 If you are interested in these addition play dough cards they are included in my addition pack on TpT. If you already own the pack I recently added 41 new pages to it! Click here or on the image below to redownload it to get the updates for free! 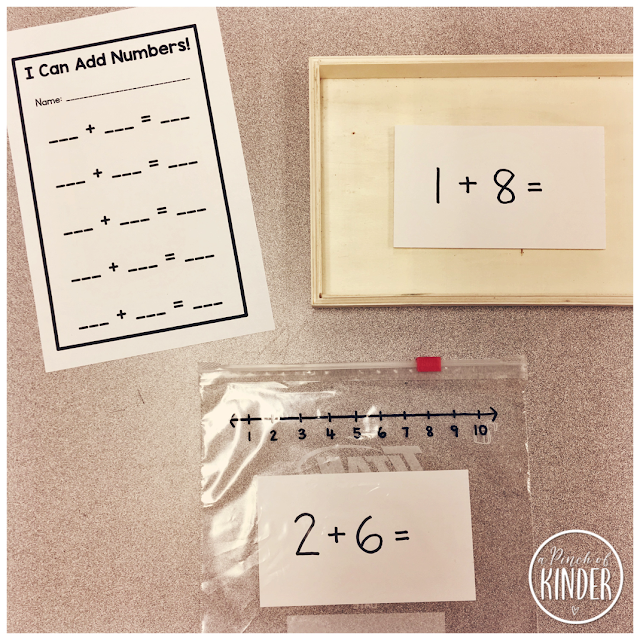 I saw this post by Hefty on Facebook and thought these number line bags were such a great idea! I made them and set them out with some addition flashcards. I also added a recording sheet to the centre to support the kids who wanted to record their work. I love this recording sheet because you can add it to any centre! 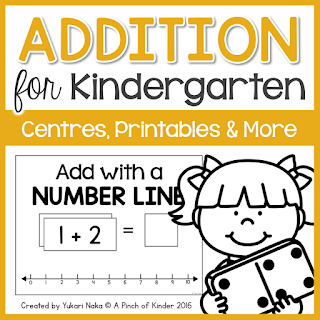 They are included in my addition pack on TpT as well. That's it from me this week! I hope you have a great weekend and if you are on spring break as well a great spring break!